GM CEO Mary Barra back on the public speaking circuit; Inside Shanghai's struggling free-trade zone; Chrysler retools Michigan plant to boost Ram pickup output; In Hanover, driverless trucks for the long haul; Lear layoffs prompt demonstration, U.S. flag burning in South America; A look at the week in photos. 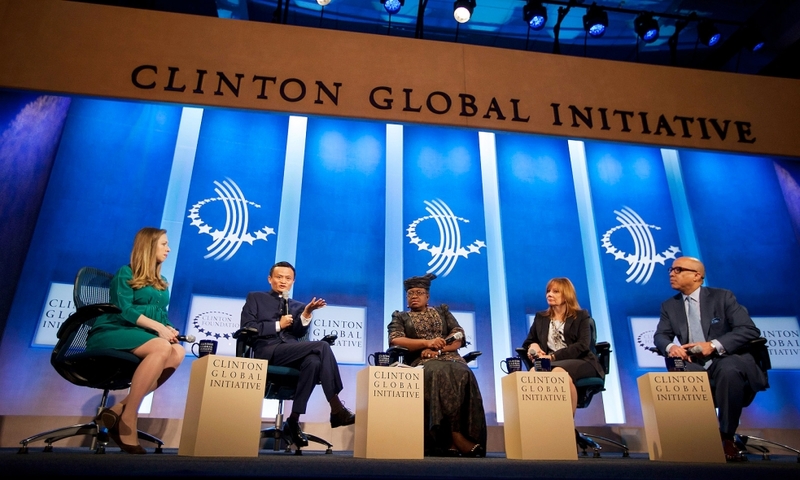 General Motors CEO Mary Barra, second from right, joins Chelsea Clinton, vice chair of the Clinton Foundation, from left, Jack Ma, chairman of Alibaba Group Holding, Ngozi Okonjo-Iweala, coordinating minister of economy and minister of finance of Nigeria, and Darren Walker, president of the Ford Foundation, in a discussion during the annual meeting of the Clinton Global Initiative in New York, on Tuesday, Sept. 23, 2014. Clinton, Ma, Okonjo-Iweala, Barra, and Walker discussed efforts to address global economic, social and environmental challenges of the 21st century. Barra's appearance marked her first public appearance outside Detroit since testifying before Congress in July about the company's recent safety recalls. An employee at Mopar's Asia Pacific parts distribution center in the Shanghai Free Trade Zone during a government organized media tour in Shanghai on Wednesday, Sept. 24, 2014. A disappointing first year for Shanghai's much-hyped free-trade zone, viewed as a pet project of Premier Li Keqiang and touted as a laboratory for reform, raises questions about China's commitment to opening up its markets as it wrestles with a slowing economy. The 29 square-kilometer zone on the outskirts of China's commercial capital -- hailed as Beijing's boldest reform in decades -- was meant to test changes such as currency liberalization, market-determined interest rates and free trade. But progress has been slow and policies vague as the political focus has turned from reform to shoring up growth, leaving foreign companies unsure of investing in the free-trade zone. 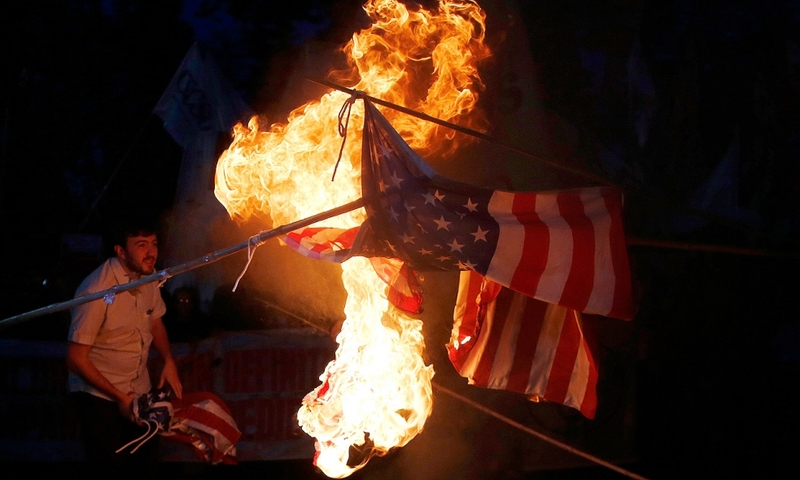 Demonstrators burn U.S. flags during a protest against layoffs at U.S. automotive supplier Lear Corp. outside the U.S. embassy in Buenos Aires on Wednesday, Sept. 24, 2014. Argentina's struggling economy has forced automakers and suppliers to cut output and idle workers. Angry protesters set fire to U.S. flags and chanted slogans against Lear as armed police officers blocked off any access to the grounds of the heavily guarded embassy.Lear recently dismissed over 300 of workers in Argentina. 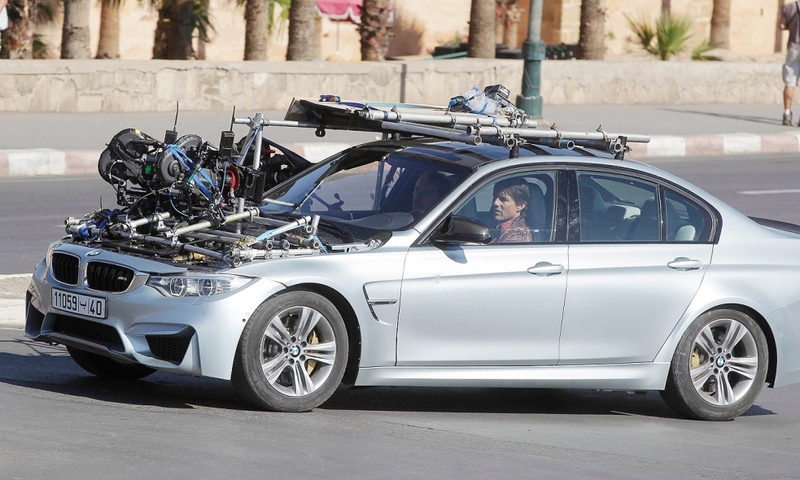 Actor Tom Cruise maneuvers a BMW during the filming of "Mission: Impossible 5" in Rabat, Morocco, on Thursday Sept. 25, 2014. Cruise's co-star, Simon Pegg, was so impressed with the day's shooting that he tweeted: "Well, that was the most spectacular stunt I have ever participated in. I'm going to be sore tomorrow but an action hero FOREVER!! #MI5Diary". The film is scheduled to open in December 2015. Chrysler Group workers assemble a 2014 Ram 1500 pickup truck at the company's Warren, Mich., assembly plant on Thursday, Sept 25, 2014. The company said this week it has redesigned approximately 353 workstations in the plant -- based on nearly 7,000 suggestions submitted by workers -- that will help boost Ram output by about 100 units a day, or 28,500 yearly. 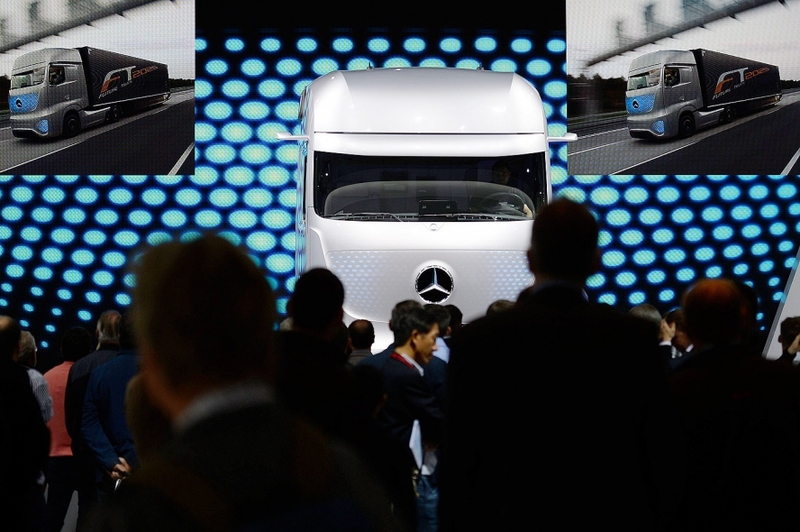 Visitors examine a concept driverless truck at the Mercedes Benz booth at the IAA truck show in Hanover, Germany, on Friday, Sept. 26, 2014. The 2014 IAA show, one of the biggest showcases for long-haul and work trucks in the world, runs through Oct. 2.